Following the GH5 (the hybrid still/video solution) and the G9 (the sports and wildlife model), Panasonic has now come out with the GH5s and as you might expect, this third flagship focuses entirely on video. 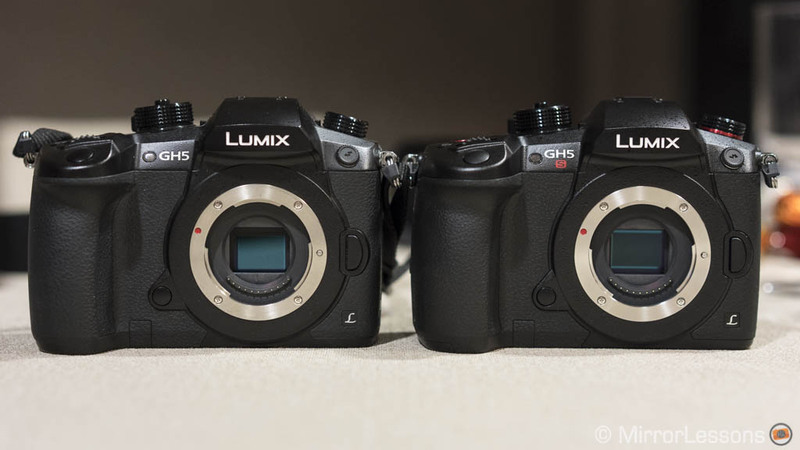 Not even a year ago, praise was being showered on the advanced video capabilities of the Lumix GH5, so it is natural to wonder: just how does this even more video-oriented camera compare? Well, on the outside, very little has changed. 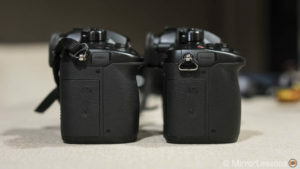 The two cameras have the same design and dimensions which means that many accessories will work seamlessly on both. The only visual differences are the red video recording button, red ring around the drive dial and red S on the name. The button layout is also the same, including the rear AF Joystick. With the exception of the refresh rate that reaches 120fps on the GH5s rather than 60fps, the EVF specifications don’t differ either (3,860k dots and 0.76x magnification). And the 3.2″ multi angle LCD screen is exactly the same with 1620k dots. It is only once we look under the hood that we can find some relevant differences worth talking about. Here are the ten most important! Ethics statement: The information supplied in this article is based upon our personal experience with the GH5 and a quick hands-on with a pre-production GH5S at the UK press event. If we have the chance to use them side by side in the future, we will publish a full comparison. We were not asked to write anything about these cameras, nor were we provided with any sort of compensation. Within the article, there are affiliate links. If you decided to buy something after clicking the link, we will receive a small commission. To know more about our ethics, you can visit our full disclosure page. Thank you! The GH5 features a 20MP Live Mos sensor which is currently the highest resolution you can find on a Micro Four Thirds camera. 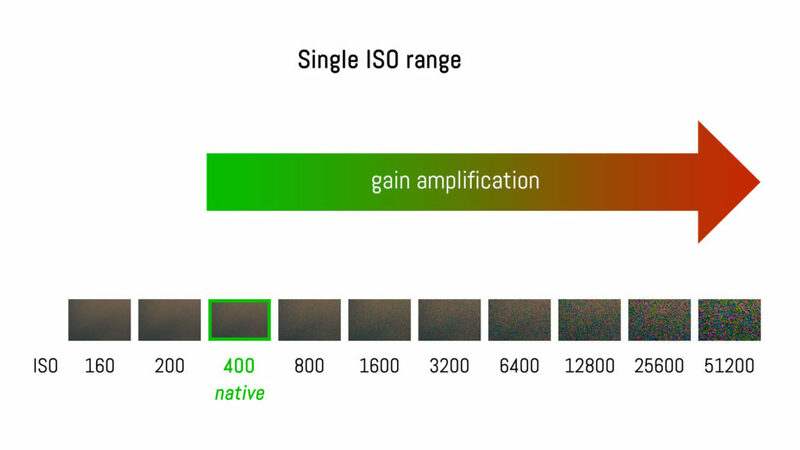 There is no low pass filter to maximise sharpness. The GH5S has newly designed chip with half the megapixel count (10.2MP). The larger the pixel, the more light it can gather, which helps to reduce noise at high sensitivities just like Sony’s A7s series. Following in the footsteps of previous Lumix cameras like the GH2 and LX100, the GH5S uses the multi aspect ratio format. 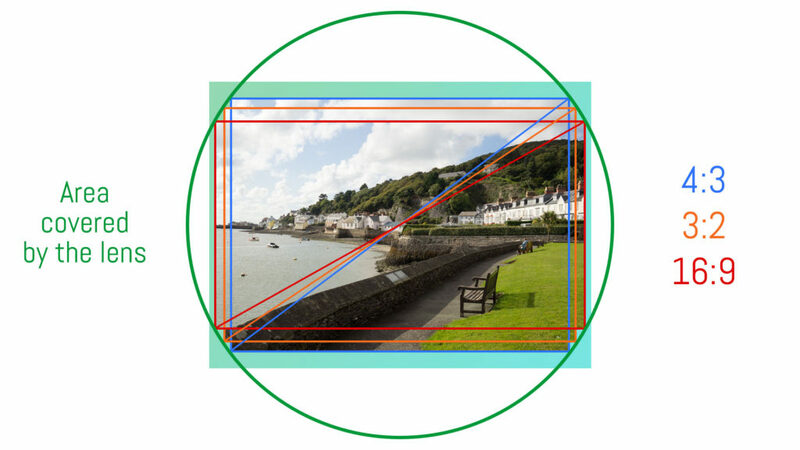 Because the sensor is slightly bigger than the area covered by the lens, it is possible to change the aspect ratio (4:3, 16:9 etc.) while maintaining the same diagonal angle of view. The GH5 has a range of 200 to 25600 ISO and extended “pull” values down to 100. For video the range only goes from 200 to 12800. In our experience, we’ve found that the camera performs quite well up to 6400 ISO for stills and 3200 ISO for video. You can push it to 6400 for movies too if you play with the noise reduction setting a little. The GH5S takes the low light performance to a new level for Micro Four Thirds. 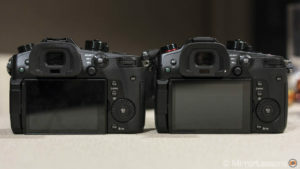 It offers a range of 160 to 51200 ISO with extended values down to 80 and up to 204800 ISO. The entire range, including the extended settings, is available for stills and video. These values are possible thanks to the larger pixels on the sensor and the Dual Native ISO of the camera. Unlike the GH5 that has one native ISO of 400, the GH5S has two native values of ISO 400 and ISO 2500. 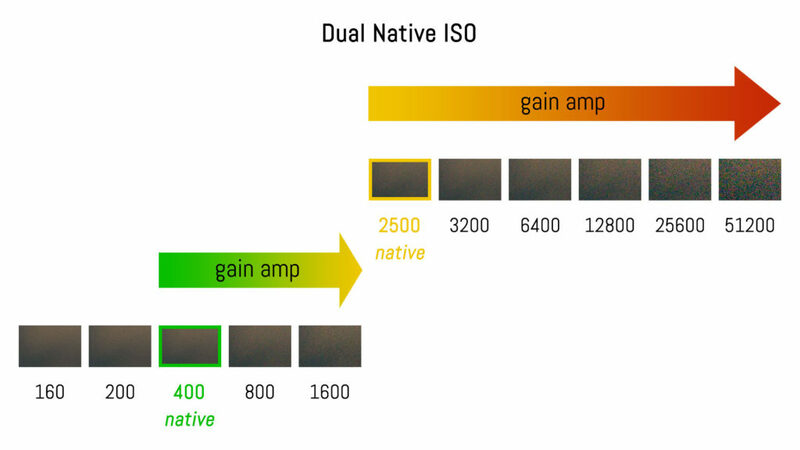 So if for example you want to shoot at 6400 ISO, the GH5S amplifies the gain (higher voltage to the sensor) from the 2500 native value rather than the 400 ISO value. This means it doesn’t need to amplify the gain as much as the GH5 would. Judging from the official side by side comparison images recorded at ISO 6400 and ISO 12800, the GH5S produces more contrast and less noise in the shadows. We also had the chance to briefly record an ISO test with the new camera at a press event and the results at high ISOs were indeed very good, with usable footage up to 12800 ISO. Both cameras can record in 4K Ultra HD (3840×2160) or Cinema 4K (4096×2160) formats. With regular 4K the two cameras can go as fast as 50/60p but in Cinema 4K the GH5 is limited to 24p. The GH5S on the other hand can record both 4K and C4K at 50/60p. The two products can record internally at 4:2:2 10-bit and 400mpbs in 4K (200mbps in 1080p) up to 30p. The high resolution sensor also gives the GH5 an advantage concerning the maximum video resolution. It can record 6K in anamorphic mode up to 30p and has a 6K Photo mode that allows you to record at 30p and save any of the video frames into an 18MP JPG. The two cameras can record anamorphic footage in 4K up to 60p and have the 4K Photo features up to 60p as well. The GH5 has an excellent VFR mode with a maximum of 180fps which gives you a slow motion footage up to approximately 6x. The GH5S goes one step further with a maximum of 240fps. V-Log L is Panasonic’s Log gamma curve. It allows you to record the widest dynamic range possible in video mode by using the native sensitivity range of the camera (ISO 400). However it isn’t included by default on the GH5 and costs around $100 to download. The GH5S comes with V-Log L already installed. The GH5s has its fair share of new technology in comparison to the GH5 but there is one important feature it is missing: 5-axis stabilisation. 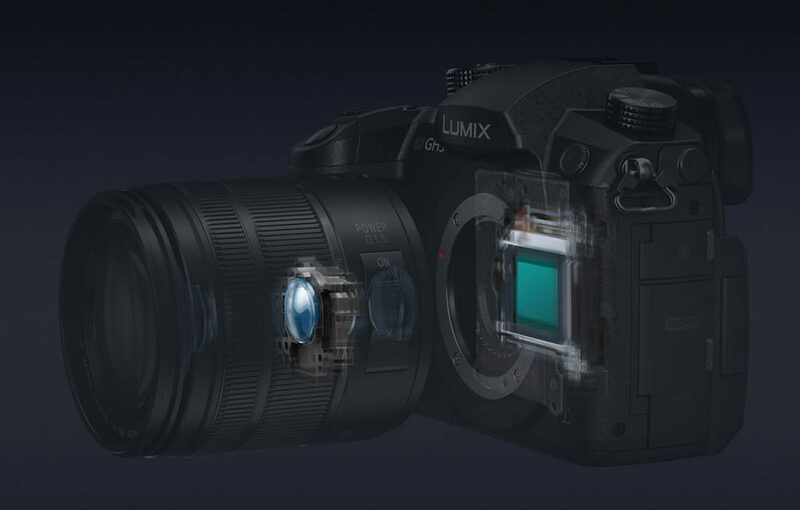 The GH5 can use its in-body stabilisation system in combination with the optical stabilisation of Lumix lenses for superior performance up to 5Ev of compensation (CIPA standards). This system is called Dual IS2. 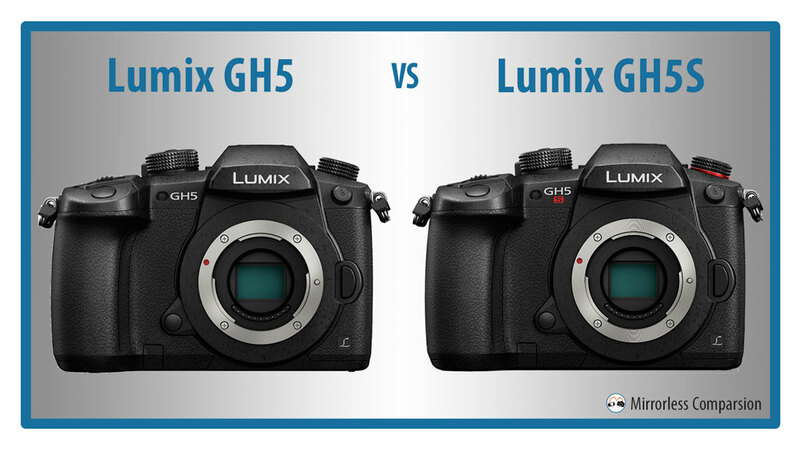 The GH5S on the other hand can only rely on the optical stabilisation of Panasonic lenses or third party stabiliser hardware. We know of the many improvements made to the video specifications of the GH5S but what about still photographers – is there anything at all that could interest them? Well, while the resolution of the sensor isn’t anything to write home about, the inclusion of 14-bit RAW is a very nice surprise. If my memory serves me well, it is the first Micro Four Thirds camera to exceed 12-bit. 14-bit gives you more colour information which is nice but would be more welcome on the GH5 since it is more stills-oriented than the GH5S. 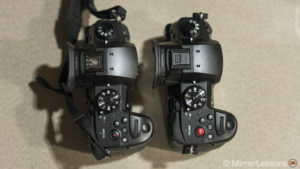 Both cameras use Panasonic’s Depth from Defocus AF system which works with contrast detection but offers a faster speed that traditional contrast based systems. The GH5 uses a faster version with a locking speed of 0.05s. The GH5S is slightly slower with a locking speed of 0.07s but it has better sensitivity in low light (-5Ev vs -4Ev on the GH5). Also included are the AF-C Custom Settings that allow you to fine-tune the AF behaviour on both products. The two cameras feature a full-sized HDMI port, USB Type C, mic in, headphone out, remote input, flash sync and two SD card slots with UHS-II compatibility. The GH5s has timecode in and out that works via the flash sync port (a cable is provided) which means you can genlock it with broadcast cameras. The Mic in port can also be used as a Line In for other audio sources. The GH5 can be found for around $2000 / £1600 / €1800 body only or in a kit with either the 12-35mm f/2.8 or the 12-60mm f/2.8-4. The GH5s is more expensive starting at $2500 / £2200 / €2550 for the body alone. 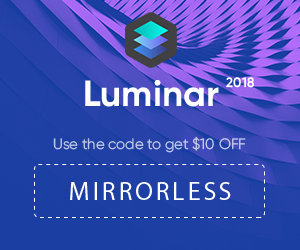 There are no kit lens bundles. The GH5S is the logical choice for video shooters since the camera has been designed for that purpose more than any Lumix model to date. But truth is that the GH5, despite being labelled a hybrid model, is just as capable for video as the GH5s in many ways, and is far more capable than many of its competitors on the mirrorless market. For this reason, it also remains a valid choice for professional video work. 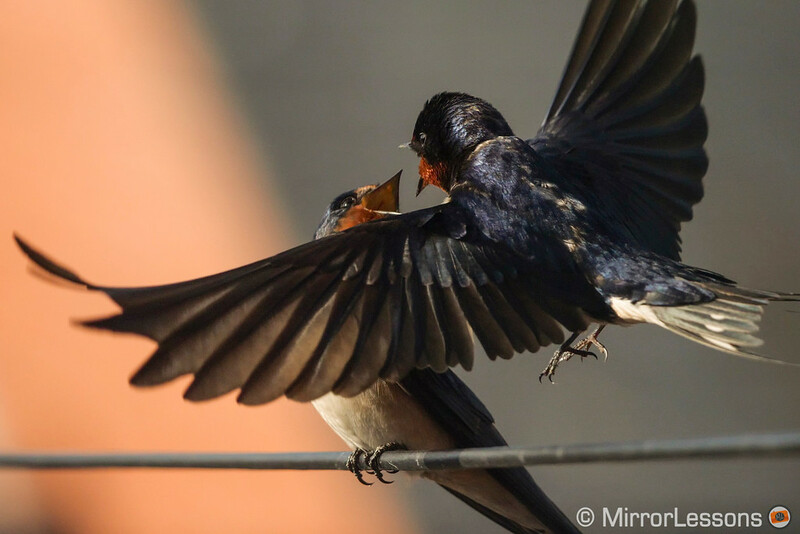 Perhaps the most important aspect to consider is the GH5s’ improved ISO sensitivity range, as it solves – or at least minimises – a problem that Micro Four Thirds has always faced, which is low light performance. If you often work in poor light conditions, you’ll certainly find the GH5s a more flexible tool to work with.